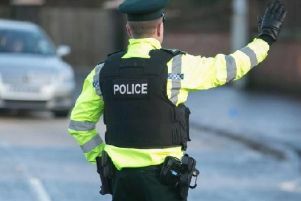 Police are continuing to question a 45-year-old man whose twin brother was found dead in Lurgan at the weekend. A murder investigation was launched on Sunday after the body of a 45-year-old man was found in block of flats on Victoria Street in the Co Armagh town. The deceased has not been named by police but is understood to be from Lithuania. It is unclear how long the victim had been living in the area. Police received the report of the death shortly after 2.15pm on Sunday. It is believed the man may have died following a domestic altercation. UUP councillor Colin McCusker said: “This is a terrible tragedy and if the rumours are correct and the man was killed by his own brother, then it is a double blow for the family involved. “People in the local area are still trying to come to terms with this shocking event. Sinn Fein councillor Keith Haughian said the Victoria Street area was “densely populated”, adding: “There are a lot of families in this area and many young children. The flats where the man’s body was discovered is the same complex where 31-year-old Laura Marshall was found dead in April 2016. Upper Bann DUP MLA Carla Lockhart said: “This is horrendous news. “My thoughts are with those now mourning the loss of a loved one. I sympathise and assure them of my prayers. Detective Inspector Darren McCartney said: “I am appealing for anyone with any information that can assist with the investigation to contact detectives in Lurgan on 101 quoting reference number 769 of 06/08/17.